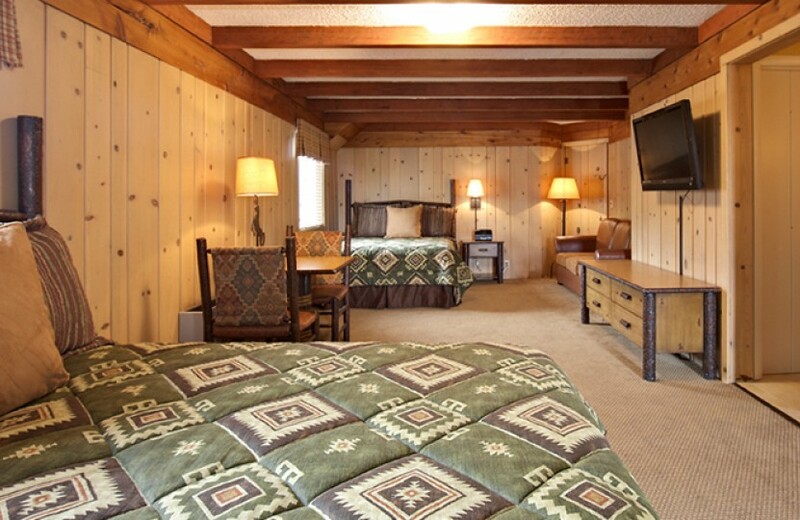 Located just steps from Town Square, our comfortable Jackson Hole accommodations include 100% smoke and pet free standard guest rooms, studios and one- and two-bedroom condominiums with fireplaces, private decks, full kitchens and washers/dryers. When they're not out exploring Jackson Hole, guests gather by the lodge's seasonal sparkling outdoor infinity pool, soak in the oversized hot tub or relax by the firepit. Accessible rooms are available upon request. Please call 877.790.8590 between 7am - 10pm to reserve accessible rooms, or if you have any inquiries or special requests prior to your arrival. Note: One cleaning service is included when staying 3 or more nights in one of our condo type units. Additional cleaning services are available upon request for additional fees. 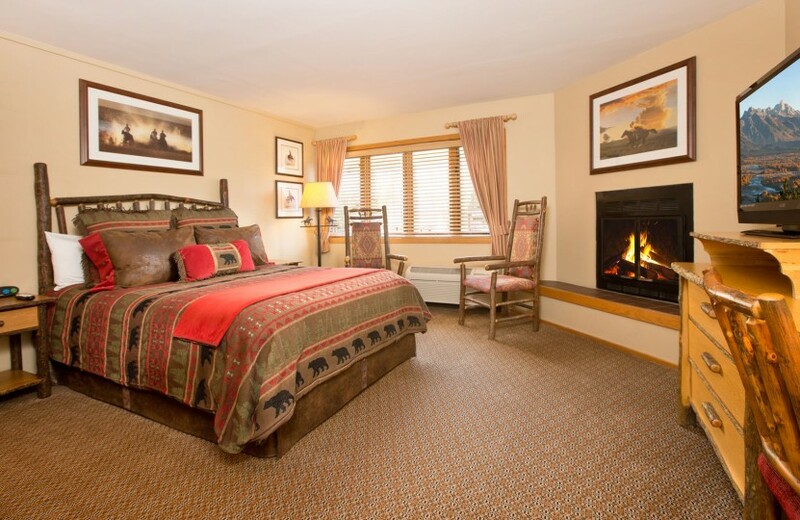 Located on the second floor of the historic Main Lodge building, our spacious Family Suites are furnished with two Queen beds and a Queen sofa sleeper. These charming accommodations have complimentary WiFi, a flat-screen HD television, individual climate control, coffeemaker, mini-fridge and microwave. Note: These suites do not have elevator access. 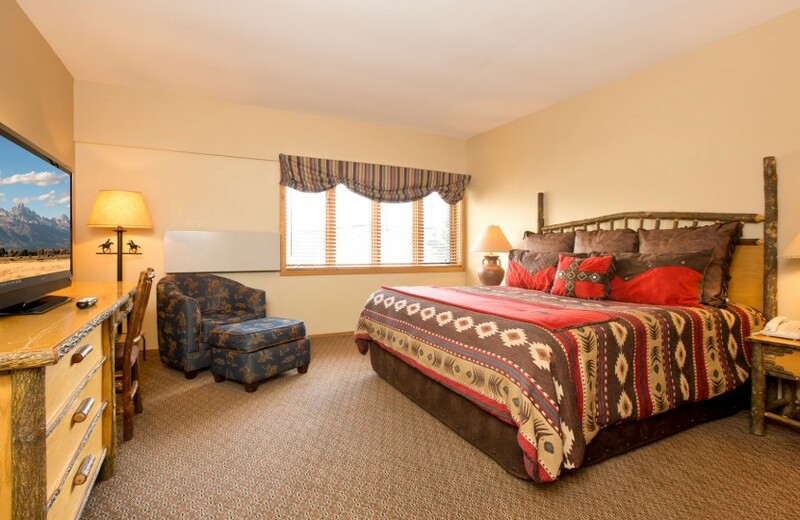 Ideal for two guests, our Deluxe Studios are furnished with one queen bed and feature a wood-burning fireplace, full kitchen, complimentary WiFi, HD TV, individual climate control, direct dial telephone and full bathroom. Ideal for up to six guests, our One Bedroom 2-Queen Condominium units are furnished with two queen size beds in the master bedroom and a queen sleeper sofa in living area. 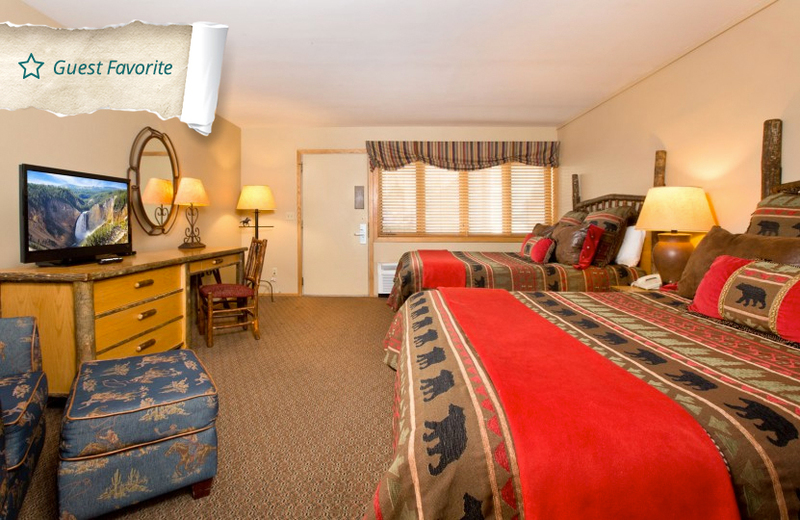 These spacious units are WiFi-equipped and have a fireplace, private deck, remote cable HD TV, one full bathroom and a half-bath. Perfect for families, they have full kitchens with range, full size refrigerator, microwave, dishwasher, coffeemaker, washer/dryer and direct dial phones. 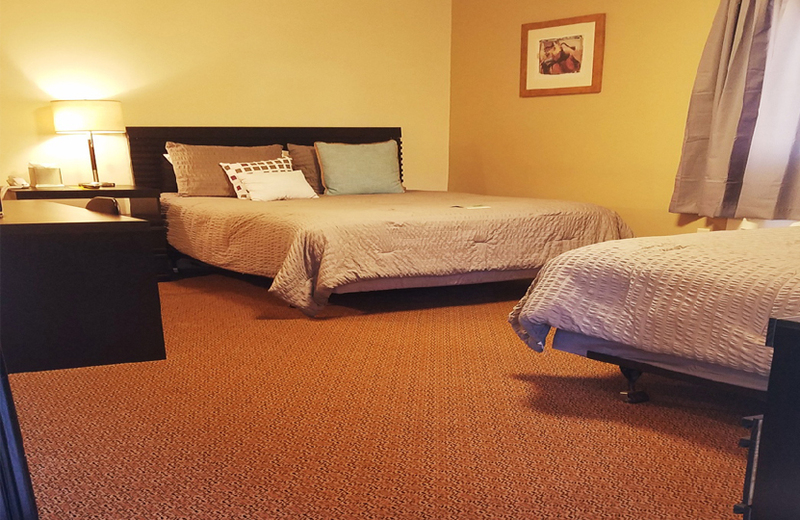 Accommodating up to four guests, our One Bedroom King Condominium units are furnished with a king bed in the master bedroom and a queen sleeper sofa in living area. These spacious, WiFi-equipped accommodations have a fireplace, private deck, remote cable HD TV, two full bathrooms (one with a deep soaking tub and shower). Ideal for families, they have full kitchens with range, full size refrigerator, microwave, dishwasher, coffeemaker, washer/dryer and direct dial phones. 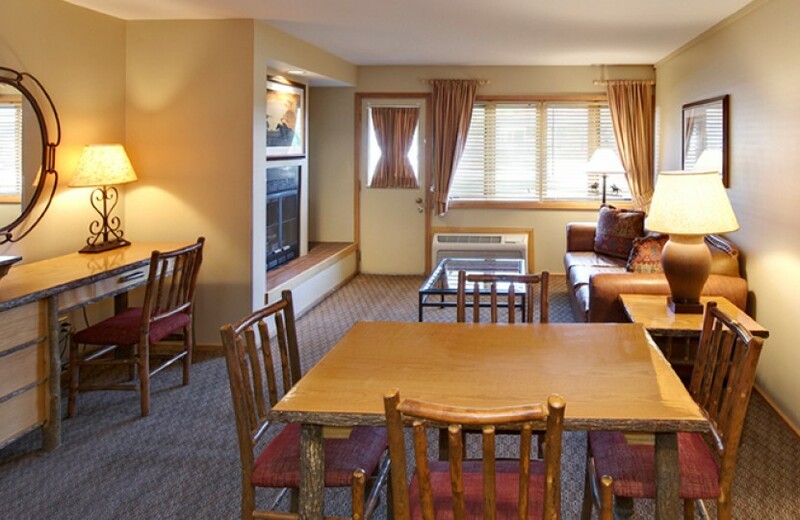 Our largest and most spacious accommodations, the Lodge’s Two Bedroom Condominium units are perfect for large families or groups of friends. Ideal for up to eight guests, these two-level units have a king bed in the master bedroom, two queen beds in the second bedroom and a queen sleeper sofa in the living room. They are WiFi-equipped and have a fireplace, private deck, remote cable HD TV, two full bathrooms, and a half-bath. Perfect for families, they have full kitchens with range, full size refrigerator, microwave, dishwasher, coffeemaker, a washer/dryer and direct dial phone. 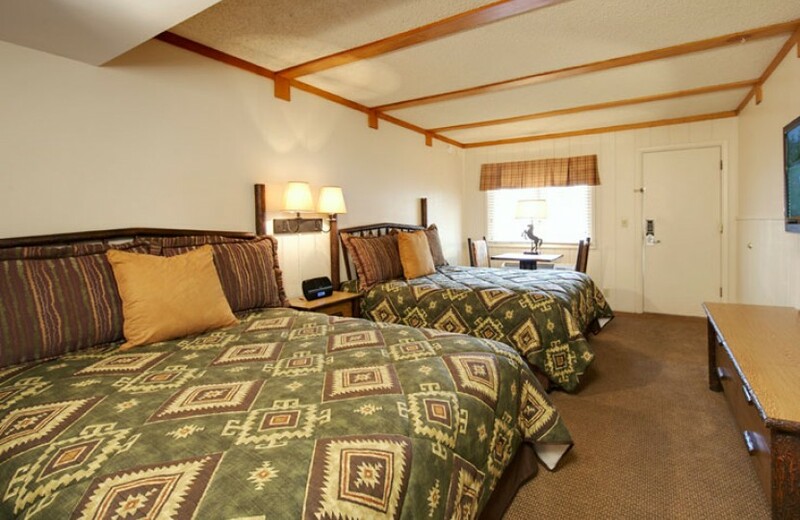 Note: Our two bedroom units have a two night minimum stay.